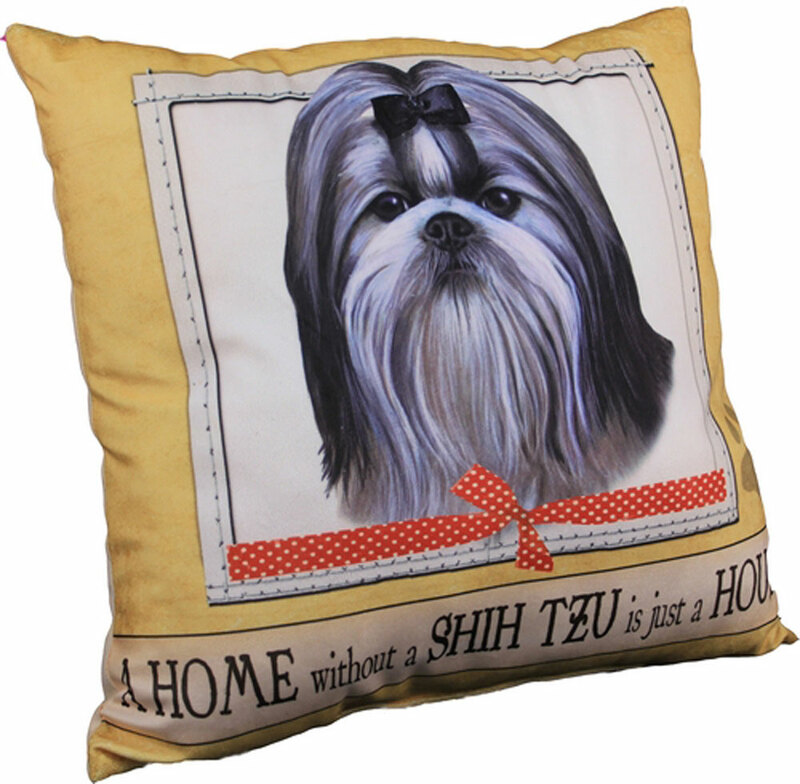 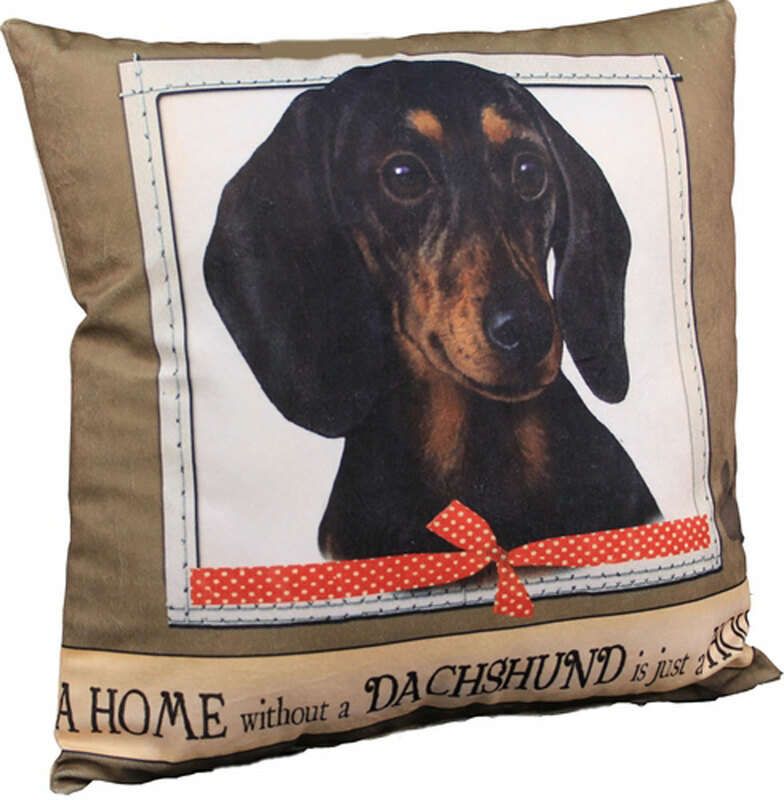 We absolutely adore these fun and colorful dog pillows and we bet you will too! 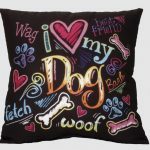 They will jazz up any home decor with the graffiti style designs and bright colors. 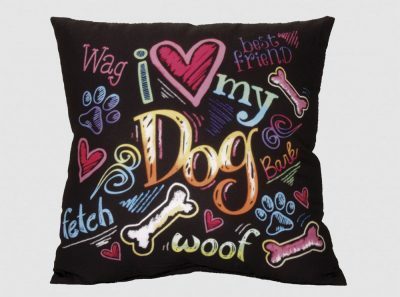 The pillow is covered with “I Love My Dog” expressions. 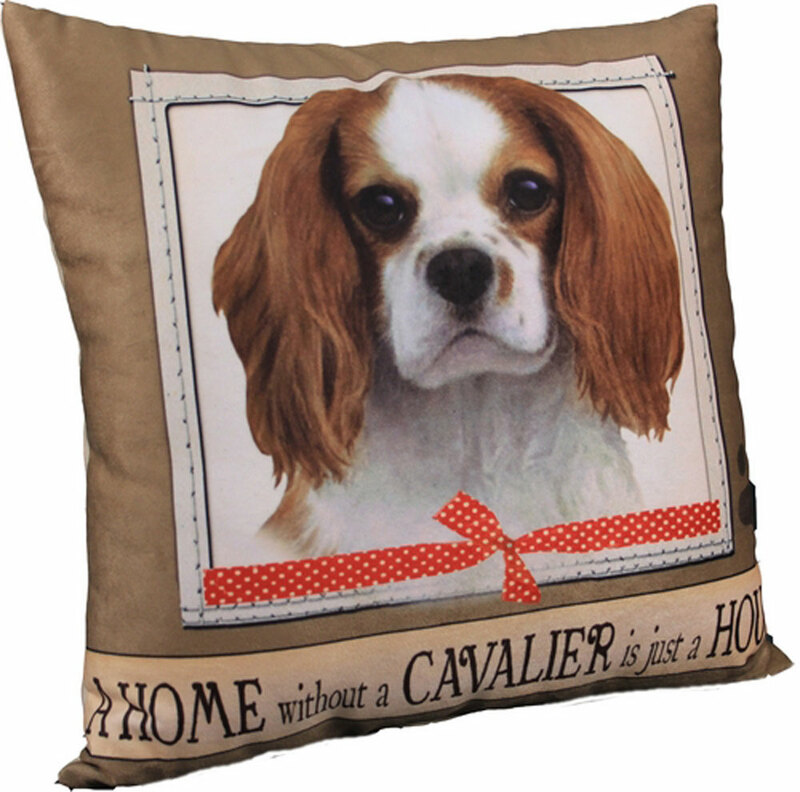 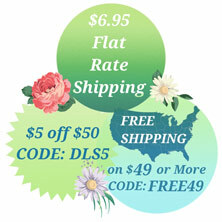 -Measures approximately 12 by 12 inches. 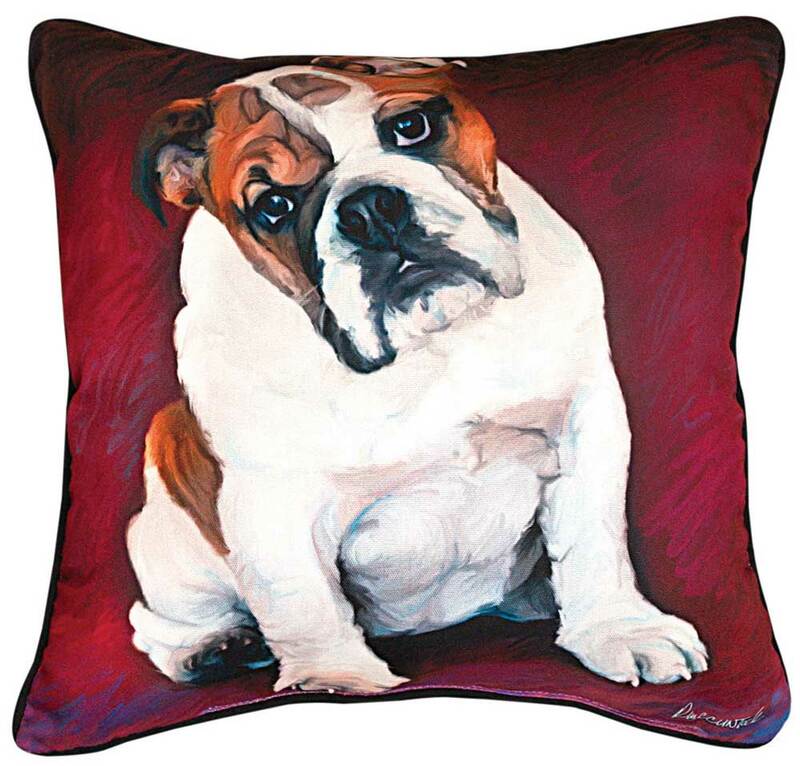 Bulldog Artistic Throw Pillow 18X18"